There’s no doubt that online demos and webinars are the most efficient, easy, and on-demand way to let CFOs, CEOs and IT executives get a taste of new technology solutions. Whether they’re focused on implementing changes for growth, scalability and improved profit margins, the smart executive knows that part of winning and staying ahead in all industries is to be in the know of all IT developments in your business area. That said, we here at Encompass are delighted to present a new format, A Day In The Life event. This is a more meaningful experience, a way to see beyond what a standard PowerPoint presentation would show. After all, there is no form of communication as effective as face-to-face, in business and in many other aspects of life. 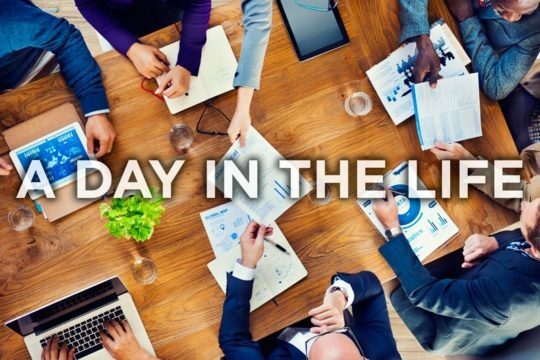 Just last month Encompass had the opportunity to host a new session of our A Day in the Life event series. What Is A Day In The Life Event? A Day in the Life event is an open house format where people can see IT solutions in action and get feedback from the users. How Does A Day In The Life Event work? Attendees tour six stations and stay at each one for thirty minutes; each station showcases different “Day in the Life” demos and depicts how employees in multiple departments are empowered to make the right decisions at the right time due to an integrated MES and ERP system. The event offered a 360° view of the Epicor Manufacturing Suite as well as insight into how Encompass works with clients to make system recommendations, business process assessments, and overall IT support. For our ‘Day in the Life Event’, local manufacturers in the Cincinnati area were invited to take an up-close, personal, and free tour of one of our Epicor clients, Kaufman Container, to see how they use Epicor ERP to grow and run their business. Being able to network with a leading packaging sourcing center in the United States with over 100 years of experience was an invaluable experience. Kaufman Container is a privately held, family-owned business which operates two key facilities in the Midwest. Prior to their Epicor implementation, Kaufman were running several non-integrated systems, and users were having to do each other’s jobs to keep things running smoothly. Now, they have streamlined their workflow and have reduced overhead cost by 30% with Epicor ERP 10. With the face-to-face visibility of the Day in the Life event, we’re able to show all of the functionality of our systems, from Sales to Manufacturing, Production/Manufacturing Execution System (MES), Procurement, Finance, Reporting Dashboards, and more. Additionally, we were able to demonstrate the value of using MES and ERP solutions to collaborate with coworkers, connect financials and databases, access reports while remote, and communicate effectively. Encompass is working to set up another open house event soon. 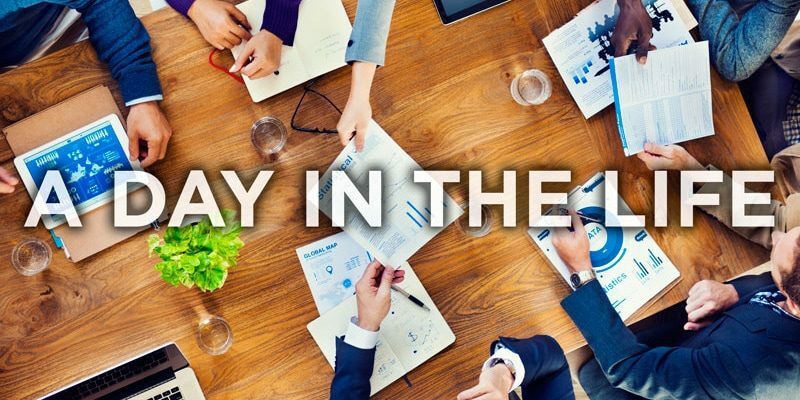 If you’re interested in seeing how a new ERP system can revolutionize your business, checking out A Day in the Life is well worth the trip.